I hope that everyone is getting into the swing of things as this second week of school comes to a close. If you attended the Elementary School Back-to-School night on Tuesday, or if you are attending the Middle School Back-to-School night tonight, you will experience first-hand what your son or daughter's school day is like. It can be overwhelming at first to learn a new schedule, new classroom expectations and new names of teachers and classmates. This is true even more so for our students and parents who join the Academy for the first time this year! Please join me in making our new AHN families feel especially welcome by introducing yourself--offering a handshake or sharing a smile goes a long way when you are a new member of any community. On that note, I invite all of our new parents to join me and members of my staff for coffee from 8:30-10:00 a.m. or lunch from 11:30 a.m.-1:00 p.m. on Wednesday, September 5th, in the Michael and Candace Valdes Family Gallery. Please contact JoAnne Linkner if you are able to attend. Parents, Please Remember That In The Case of a Planned Absence You Must Notify Both Your Student's Teacher and Mrs. Elliott Three Days Ahead Of Time. If Your Child is Sick, Please Notify Both the Teacher and Mrs. Rocha. Mark Your Calendar: The ES Back-To-School Pool Party is This Saturday, August 25th from 5:00-7:00 p.m at the AHN Pool! The Academy is offering Jagbots, a competitive robotics club, for students in grades 5-8. They will meet on Wednesdays from 3:30-5:00 p.m. starting September 5th. Click here for more information. Extended Day will be offered on Friday, August 31st, from 12:00-6:00 p.m. while faculty and staff attend a school-safety training. Students not staying for Extended Day should be picked up at noon. There is a $20 fee billed to FACTS for those students who are not already registered for daily Extended Day. The Academy will offer a pizza lunch, however those with dietary restrictions or allergies are encouraged to pack a lunch. Please email Courtney Franks with any questions. We are asking that all parents pre-register here to ensure that we have enough coverage. There will be a College Planning Program for seniors and their parents on Tuesday, August 28th at 6:00 p.m. in the Brady Center North. College admission professionals will present important information on how to best navigate the college application process. The second portion of the presentation will include a packet that includes your current status in the Florida Bright Futures Scholarship Program, a calendar of deadlines, and other relevant information critical for applying to colleges. A light dinner will be served. Please RSVP here. Don't Forget to RSVP For Campus Ministry's "Gifted" Retreat on Saturday, August 25th! Click Here For More Information. Are You Interested In Joining the AHN Rowing Club This Year? Click The Link For Important Upcoming Dates and Tryout Information! 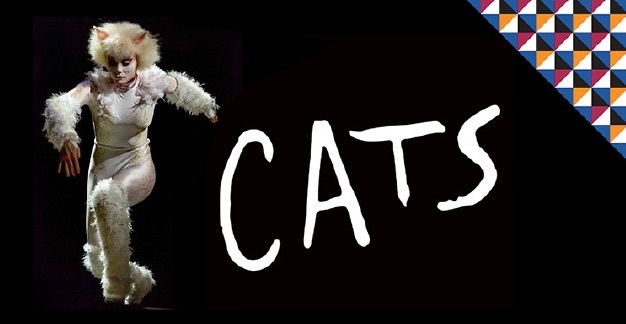 CATS, the Tony Award-winning masterpiece is coming to our high school! That's right, our high school! Auditions for the spring musical will be held on Friday, September 28th and Monday, October 1st in the Scarpo Family Theatre. Please email Mrs. Kimbler no later than Wednesday, September 27th to sign up! Click here to learn more. 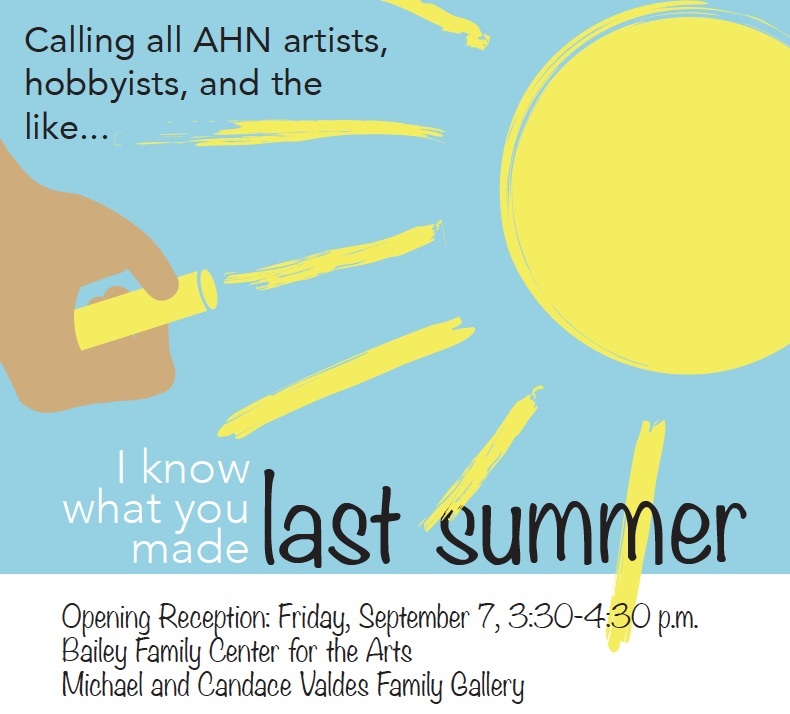 Calling All AHN Artists, Hobbyists, and the Like! Did you spend time working on your artwork this summer? If so, share your work in our 2nd Annual Student and Staff "I Know What You Made Last Summer" Exhibit! Both 2D and 3D works, in any media, are welcome. Please drop off display-ready artwork to the gallery (limit of two submissions per person) by noon on Friday, August 31st. Calling All Dads: Join the AHN Dads Club on Monday, September 10th from 6:30-10:00 p.m. for a Dad Club Meet and Greet! Whether your child is in elementary, middle or high school, we invite you to attend to reconnect with dads you know, make some new connections, hear about the mission for the coming school year and enjoy some football and BBQ. Click here to learn more. -MS Back-to-School Night (grades 5-8), 6:00 p.m.
-Mothers Association Meeting, 8:30 a.m.
-Practice ACT Grades 9-11, 8:00-11:30 a.m.
-Senior Application Bootcamp, 8:00-11:30 a.m.